Häfele is the exclusive Australian and New Zealand distributor to the woodworking industry for DORUS® edgebanding hot melts. DORUS® offers cartridge and granular type edgebanding hotmelts with a wide variety of suitable applications from difficult solid wood lippings to thick PVC/ABS-edges, 3 mm up. The “original” cartridge HKP 21 and HKP 25 are available in natural and white. DORUS® granulates KS 205 and KS 217 set industry standards for a tough, durable bond under a variety of demanding conditions; while KS224/2 and KS 208/2 are industry leaders in economically priced applications. 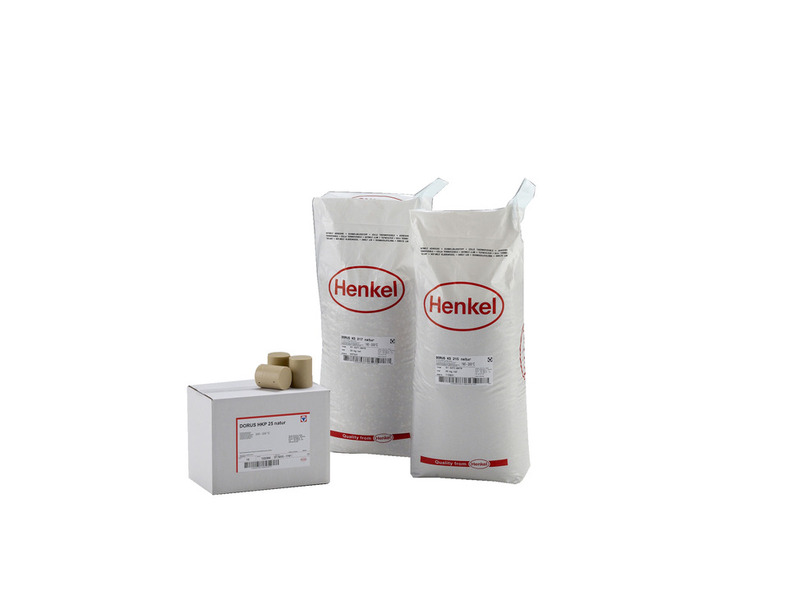 The hotmelt granulate is now supplied in spherical form instead of cylindrical. Also available is a series of tailor made hotmelt glues for profile wrapping with veneer, very thin pages or laminate foils. Please contact your sales office for further information.